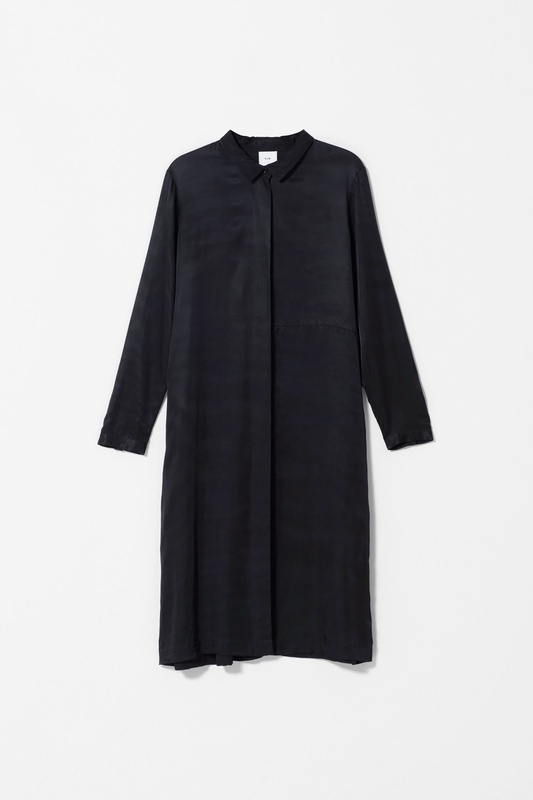 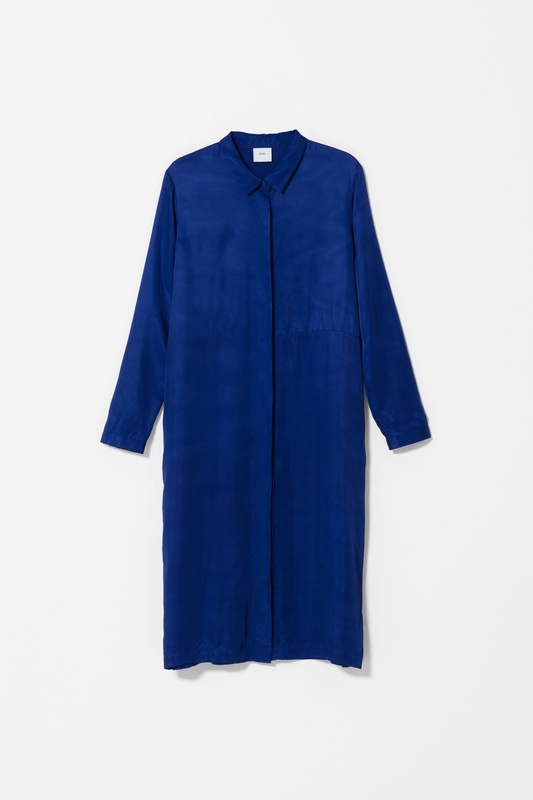 The Form Dress is a modern and sleek reinvention of the classic shirt dress. Made from lightweight, silky material this dress design features a button through front with waist detailing and back pleating creating an elegant, flowing silhouette. 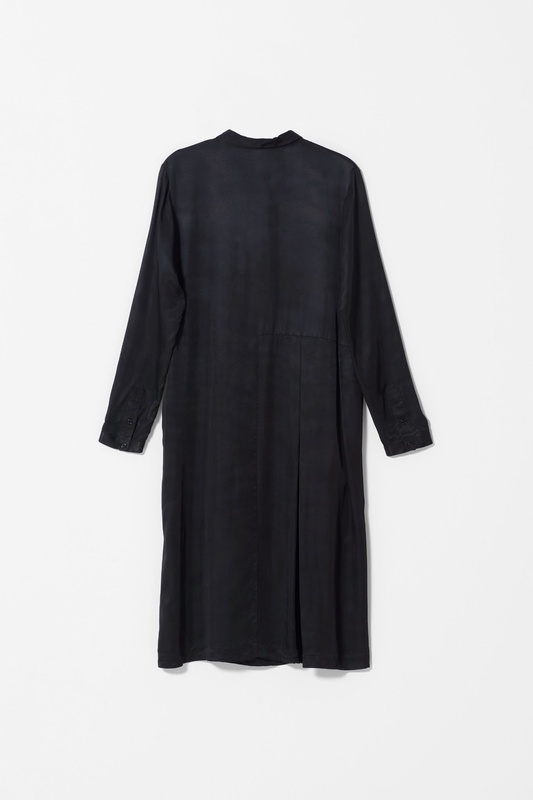 Side seam pockets on the Form Dress allow for versatility in styling; style this piece open and layer it as a duster coat or wear closed for a sleek, modern uniform.